On March 4th, we will celebrate World Read Aloud Day with LitWorld. This special day “calls global attention to the importance of reading aloud and sharing stories”. For teacher librarians and other educators, it has come to be a week-long celebration of sharing stories through Skype and Google Hangouts. This year, these connections will happen on March 2-6. Connecting through stories is always such a rewarding experience for our students. Students often discover that we are all very much the same even though we are different. Shannon McClintock Miller and I invite you to post your schedule to our shared Google Doc and start making connections for this special week. You may even discover a long-time collaborative partner through this one experience. 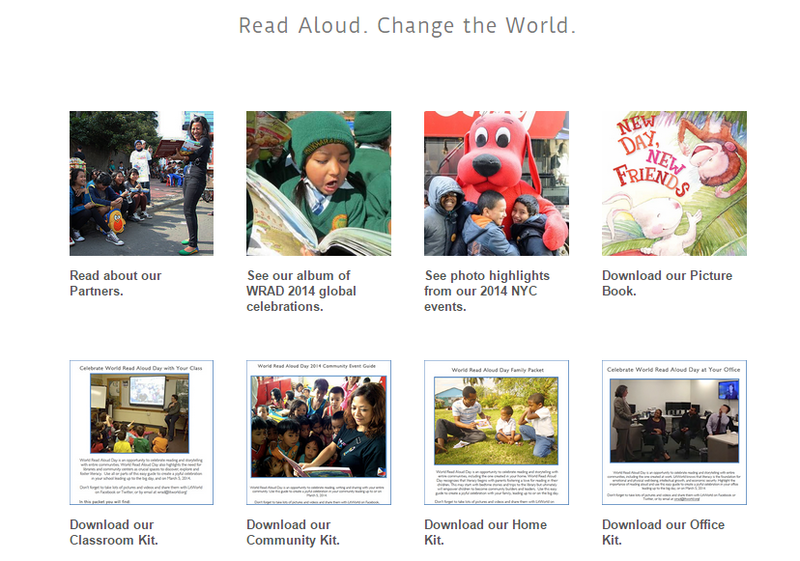 You can read about our 2014 World Read Aloud Day experiences in my post “World Read Aloud Day Final Thoughts” as well as others on the Barrow Media Center Blog. 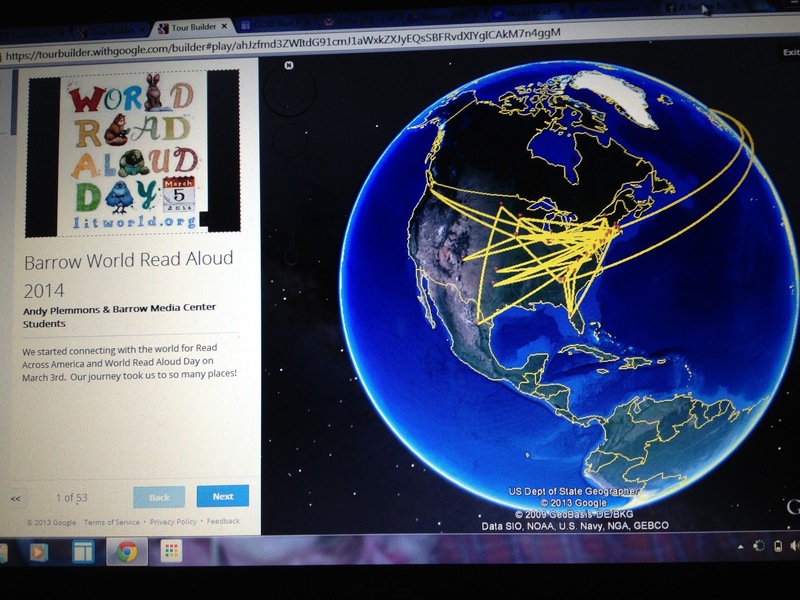 Shannon shares how she documented her school’s World Read Aloud Week via a Smore journal. Be sure to check out the LitWorld site for more information on planning for World Read Aloud Day. They even have a special classroom kit with ideas for schools. If you are interested in connecting with others on this day, please add your name, schedule, and ideas to the informations in the Google Doc that we started. This will begin to fill up with others around the world as they want to connect their students and schools too. We plan to celebrate throughout the entire week of March 2-6th. We think it’s important to know that there’s no “right” way to plan for World Read Aloud Day. Whatever you decide to do will be the right plan for your school and your students. Whatever you do, your life will be richly rewarded with the power of spoken word and voices connecting together across the miles to lift up our right to read! In the words of Kate DiCamillo, National Ambassador for Young People’s Literature, “Stories Connect Us”. We can’t wait to connect students around the world through story. This entry was posted in Connected Learning and tagged #globalTL, authors, connected learning, connected libraries, connecting, global collaboration, google hangouts, read aloud, readers advisory, skype, World Read Aloud Day, WRAD, WRAD15.